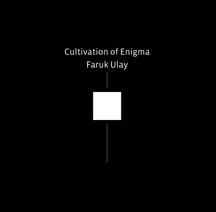 Born in Istanbul, Turkey, in 1957, Faruk Ulay is a prolific multimedia author / graphic designer living in Pasadena, California today. After receiving a B.A. 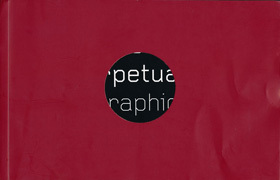 in Graphic Design in Istanbul, he attended The Goldsmiths’ College in London for postgraduate studies in Visual Communications. 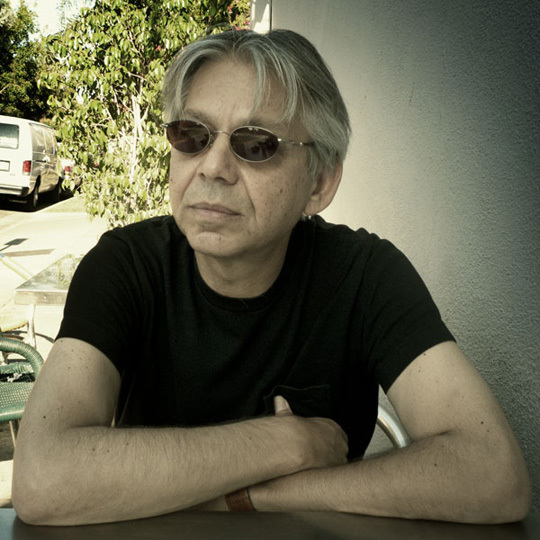 He moved to the United States in 1982 and established a design business in Los Angeles, where he still occasionally designs, but mostly writes difficult-to-classify texts, often incorporating photographs of American urban landscapes notable for their emptiness. 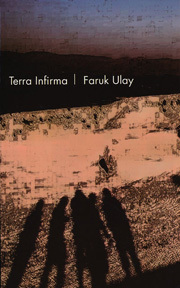 Only two of Ulay’s books have been published in the U.S.: Terra Infirma (Triple Press, 2005) andCultivation of Enigma (self published, 2011), although two others have been published in both Turkish and English editions, and his complete catalog consists of ten volumes, including short stories, experimental texts, and novels. In 2012, Turkish publisher Notos Books will publish Birakmak (a title for which, as Ulay explains, “There is no satisfactory translation”). I interviewed Ulay via email to discuss his unique approach to the creation of books, and the resulting visible and invisible literatures. Norman Lock: Before I ask about the discrepancy in works available to an English-speaking audience as opposed to a Turkish one, indulge me in a Borgesian conceit: I imagine an “invisible literature” of Faruk Ulay’s—by which I mean one written and published in his primary language—to which his admittedly slim English-language productions refer. Is there any validity to such a notion? Faruk Ulay: The English-language texts could be called récits. They are not full-fledged stories—not overly polished and finished, but they are not drafts either. They are focused on the problematics of narrative. They all have an inner voice and logic. On the other hand, many of my books published in Istanbul are longer, finished writings. Finished in a sense that traditional forms are recognizable in them—especially in the stories, which observe the conventions of writing more closely. Nevertheless, my first novel seemed a six-hundred-page jumble of words to most Turkish readers and critics (I suspect because of its Oulipian elements and Russian Formalist ideas). Since it appeared, whatever I write is automatically labeled “new writing” and therefore deemed hard-to-read. NL: Why have publishers and readers in a traditionalist and Islamic, if highly secularized, nation been so tolerant toward an avant-garde literature such as yours, which can find few American outlets? FU: Both readers and writers of these kinds of texts are quite young, and many follow avant-garde literature to distance themselves from a rapidly advancing Islamic conservatism. Some of my fellow writers there are well known in other creative fields, and a small but dedicated readership has developed around them. They have excellent foreign language skills, are aware of the classics of avant-garde as well as contemporary experimental writing, and have even translated some of them into Turkish. They publish a literary journal and introduce many foreign writers to Turkish readers. What surprises me is the tenacity of a few publishers; they know they’ll never recoup their expenses and yet they publish those works. I think one reason for this support is the close relationship between publisher and writer. Fortunately, the concept of “literary agent” is not yet established in Turkey, so writers can still get close to publishers. NL: In the works I’ve read (those in English), southern California or even America, considered as a category of existence, doesn’t seem to have any direct bearing on their landscape or subject matter, which are intensely imagined. The settings remain alien in spite of color photographs—an essential aspect of Beneath the Shadow of Perpetual Defeat and the recent Cultivation of Enigma—that produce a sense of estrangement in the texts. This unease in the world of signs and outward phenomena seems to be fundamental to your work. You recently asserted that where you live now (the U.S.) is more important than where you are from (Istanbul). In light of this, will you comment on the relationship between actual places and your works in general? FU: I strip away recognizable features from my fictional landscape. The same deliberate “facelessness” can be said of my protagonists: they have strong voices, but they don’t have names. Their characters are defined by behavior and gestures. I also distort time. My narratives are not eventful, but everything and everybody is in motion within an essentially lethargic condition. NL: You invent landscapes for your works? FU: I’ll draw an imaginary city block complete with buildings, for example, and then let the characters wander around in it. I had to create thirty-three different lands for The Lands Betweenand map out their positions in such a way that from the borderland a reader can see and “enter” another land. And yes, you’re right. If I decide to add a visual layer to the work, I must draw the imagery from my own working and living environment. As a result, images do not have the semi-abstract feel of the texts; but I try to lessen their material impact by forgoing the aesthetic of the well-made photograph. I also use objects that verge on the banal and conceal as much as possible any association with real places. So to answer your question, where I live does not affect my writing and I never subscribed to the notion that local color makes it universal—but in the visuals, there will be traces of that local color. NL: A shared theme among Terra Infirma, Beneath the Shadow of Perpetual Defeat, and Cultivation of Enigmaseems to be the profound dislocation that you view as symptomatic of our age—its culture, governments, and sign-making. Is that a fair assessment; and if so, can it be said to be equally true of those works of your invisible literature? FU: Yes, I am writing the same theme over and over again. I change perspective, experiment with forms and language; but I still end up writing about helpless people struggling to get out of a situation in which they unexpectedly find themselves because of outside forces. NL: You once remarked: “I am a foreigner but my writing is not exotic; it is esoteric.” This echoes the sense of estrangement we’re talking about. Even some of your titles suggest dislocation: Terra Infirma, for instance—and in their English translations, Broken Connections, Lies Written for Thirty Two Photographs, Time of Strange People, The Lands Between, and Beneath the Shadow of Perpetual Defeat. But I find your work inescapably exotic in the way of Latin American fantasists or Henri Rousseau or Philip Glass. Like their quite different productions, yours is the rich assay of an imagination unwilling to acknowledge limits, together with a willingness to destroy forms unsuitable to the fractured nature of our time. FU: What I meant by forgoing exoticism is to eliminate the ethnic elements Western readers may expect to find in a book written by a writer from the Middle East. I am talking about Orientalist clichés. In my view, exoticism diminishes the literary value of a text because it adds too much ornamentation. Literature—the sort I subscribe to—will lose its purity by an overlay of the exotic. What interests me is to record conflicts occurring within my characters’ vulnerable minds because of oppressive environments—magnified by their inability to manage their crises by any other means than losing themselves in imagined worlds. To this extent, my works do employ a degree of exoticism. I prefer the words irreality, absurdity, and—yes—estrangement, but in Viktor Schlovsky’s version of it. Estrangement was the concept behind 32 Busts, Lies Written for Thirty Two Photographs. NL: I understand that the book caused enormous controversy in Turkey. FU: It was a collaborative work: thirty-two prominent people agreed to be photographed naked from the waist up while I wrote a story—a fictionalized biography—for each of them. Readers encountering many of Turkey’s intelligentsia naked found the book almost blasphemous and artists guilty of subverting society’s values. My least experimental, most accessible writing caused an uproar without—I suspect—having been read by many. Beneath the Shadow of Perpetual Defeat, on the other hand, was intended to be polemical. It is a faked manifesto, poking fun at commercial design—specifically ad agencies and graphic designers willing to work in the shadow of corporate ethics (or non-ethics). The work holds them accountable for eroding social and cultural values and proposes absurd ways to transform them into cultural activists. Deliberately elitist and emphatically Modernist, the book was ignored completely. NL: In Turkey as well as America? NL: How does graphic design, your “other” career, consort with texts that are declarations of “misreading”—of the culture’s systemic information breakdown? I am thinking of Beneath the Shadow of Perpetual Defeat and Cultivation of Enigma, which you yourself designed, as well as the locusnovus.com site of others’ text/image works you’ve maintained since 2000. Is it the case that your love of design overcomes your skepticism about the truthfulness of written communications? FU: “Misreading” is inherent in written language, so loading the text with additional layers of signification will not add to any satire of literature’s insidious incomprehensibility. Graphic design does help me to question the traditional form of the codex as a vessel believed to carry meaning precisely and unambiguously. Apart from this subversive element, graphic design helps me to organize my text and to integrate other media in interdisciplinary projects, coherently and harmoniously. My literary works require less design. I should add that not every one of my hybrid works has been designed by me. FU: Because I wouldn’t push the design far enough. I’d be afraid of making my text illegible. The design of Cultivation of Enigma is very subtle. It’s a grid-based, Modernist design whose purpose is to guide the eye of the reader. I like the French tradition of livre d’artistes and admire the efforts of some independent, American presses working in this tradition: their exquisite books printed on old letterpresses look and feel exotic next to an e-book. NL: With the various elements incorporated into your works, and often the collaboration, as in design mentioned above, your works can be difficult to classify. In fact, you call your writings “works” rather than “stories” or “novels.” What is it about your writing that makes your works sui generis—a classification of its own—and why should we read it? FU: My novels read like fragmented, experimental narratives; my stories can sometimes sound like essays. They encourage the reader to be part of their creation. They are open-ended to allow readers to insert their own ideas. They respect conventional writing while attempting to expand traditional forms. And certainly they do not belong to Postmodernism. Interviewer Norman Lock has written novels and short fiction as well as stage, radio and screen plays. 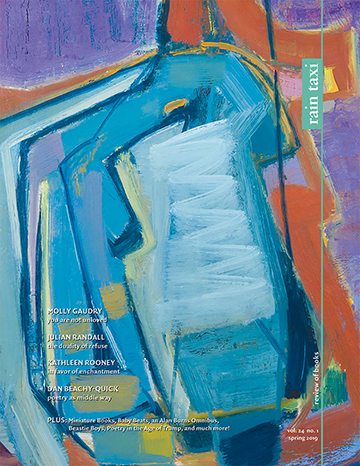 His latest work, Pieces for Small Orchestra & Other Fictions, was issued by Spuyten Duyvil. This entry was posted in Uncategorized and tagged summer 2012 on November 2, 2013 by admin.